Cobalt-gold exploration group, Riva Resources (ASX: RIR) has completed the second hole of the company’s ‘proof of concept’ drilling phase at its Tabac cobalt-gold project located 30 kilometres west of Wiluna in Western Australia. The hole was aimed at testing for potential cobalt bearing mineralisation within the Bubble Well Member (BWM) in the western sub-basin. On May 3, RIR announced that its first hole had intersected substantially altered and brecciated stromatolitic BWM, the target horizon with potential cobalt bearing mineralisation of 110 metres in width starting from 148 metres. 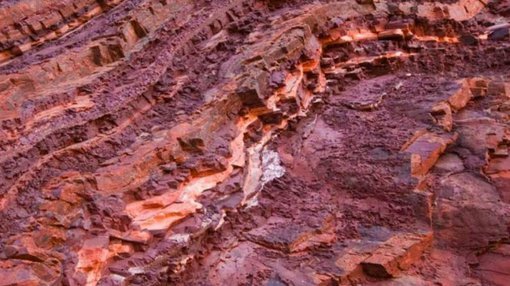 With regard to results on the second hole (TDD002) released on Thursday, management said it was terminated in Finlayson Sandstone at approximately 320 metres, having intersected 102 metres of the target BWM starting from 192 metres. The hole, TDD002, tested the basal sequence of the Johnson Cairn Formation (JCF) and the underlying BWM for potential cobalt-mineralisation on the eastern flank of the western sub-basin. RIR noted that core recovery throughout the hole’s development was excellent, including within the BWM. More specifically, the company’s Managing Director Jonathan King said, “This hole differs from the earlier hole TDD001, where Riva’s geologists noted a regional scale hydrothermal alteration and mineralising system, and where graphitic shales of the Maraloou Formation were observed to unconformably lie on BWM”. King also noted that mixed sedimentary sequences of the JCF including siltstones, shales, and pink coloured dolomite lay over BWM rocks in the second hole. Thereafter though, the stratigraphy closely resembles that intersected in TDD001, including the rocks of the BWM, and the underlying red siltstones and arenites of Juderina Formation (JF) and sandstones of the basal Finlayson Member. King believes these differences are related to the location of the holes in separate sub-basins. On this note, he is of the view that TDD001 developed in the eastern sub-basin, is located adjacent to a north-south trending, presumably reactivated, major fault. By comparison, TDD002 lies in the restricted (sheltered) western sub-basin developed mostly over Archaean-aged greenstone rocks. In this hole, pink coloured dolomite was observed in the lower sections of the JCF, throughout the BWM, and into the upper parts of the lower JF. While the colour is most likely related to dolomite, brighter pink coloured secondary dolomite may be reflecting redox reactions and metal substitution of cobalt or manganese within the carbonate. The brighter pink material is distributed throughout the interval, and as was evident with the first hole appears more prevalent within the BWM.